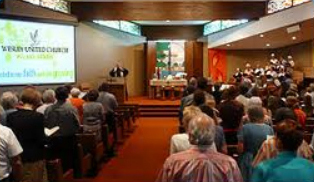 Our Congregation is a part of the United Church of Canada, a progressive denomination of the Christian faith. The congregation is the community of people who gather together at Wesley. The Congregation is served by our minister, Rev. 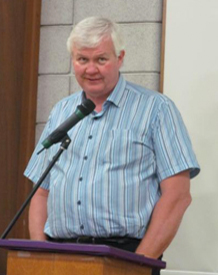 Kim Wright, who is paid by the congregation and provides leadership, education, and worship. Wesley has other paid staff such as our music director, organist, youth coordinator, office administrator, and caretaker. While the minister and staff have special roles in the life of our congregation, the members and volunteers are responsible for “running” the church. we value compassion expressed to one another and to the community. Hello, and welcome to my corner of the Wesley website. Although I am Wesley United Church’s greatest fan I will refrain from regaling you with all the ministries the amazing people of Wesley are engaged in. These you can see for yourself throughout this site. What I would like to share with you is why we do what we do. Our purpose here at Wesley is to reach out into the world, one person at a time, with the message of God’s love. We believe ourselves to be the church of the open door which we hope implies that Wesley is a safe place to be. We commit ourselves to respectfully listen to each person’s voice and to treat each person as God’s child, and therefore with the dignity they deserve. We believe that the church is here to support each individual’s distinct journey with God. We do not believe that people are here to support an institution. We see this as the living body of Christ which, although honouring the traditions of our faith, is still alive to God’s call in this day. Wesley is first and foremost a family church and we mean family in the widest possible terms, for it is to God’s table we are called to share, not our own. It is not possible to place one’s whole theology on this page in 25 words or less. But here is partly what it means to me to be part of a worshipping community. John Calvin, one of the fathers of our faith, suggested that the knowledge of God and the knowledge of oneself is inseparable. He wrote… “that the deep knowing of God and deep knowing of self always develop interactively. The result is the authentic transformation of the self that is at the core of Christian spirituality.” We hear countless ‘be yourself’ messages plastered in every nook and cranny of our world. We think that by taking matters into our own control that we can find freedom. Often our lives become so cluttered with this pursuit that we fail to see our true longing. Often this longing disappears and its energy is upsurged by forces that are not loving at all. In all honesty, we give ourselves over to things we do not really want. We exchange freedom for captivity. To disentangle ourselves we need to discover our true selves, the complete person we were created to be as we walk securely in God’s love. Discovering our true self in God is a journey that we will never fully complete in this life. However, catching glimpses of our destination is an amazing experience. The days we you don’t feel particularly concerned about winning or getting our own way, but enjoy the goodness of life even while we grieve the injustices and tragedies of our broken world. You treasure the uniqueness of human personality, the joy of work and leisure, and the opportunity to share yourself with others. On these days, you glimpse the fullness of life and the goodness of your true self. It is our hope that walking together as God’s people in the light of Christ will help people find this core in their lives, that God may reclaim us in whatever form that may take, and that we at Wesley Church can be here to facilitate that growth for ourselves and with others.. So come and join us. There are no strangers among God’s family, simply friends we have yet to meet along the road. We are a church with open doors, and you are welcome here. In time, we hope that you will find a home here and recognize that this is a safe place to explore what it means to know God. If you regularly attend Wesley United Church we consider you a part of our congregation and a part of our church family. If you have come to feel that Wesley is your home, you may wish to consider “formally joining” our congregation as a full member. Church membership is a covenant between the congregation and an individual. The individual promises to be a part of the life and work of the church and the congregation promises to support the individual in his/her quest to follow Christ. 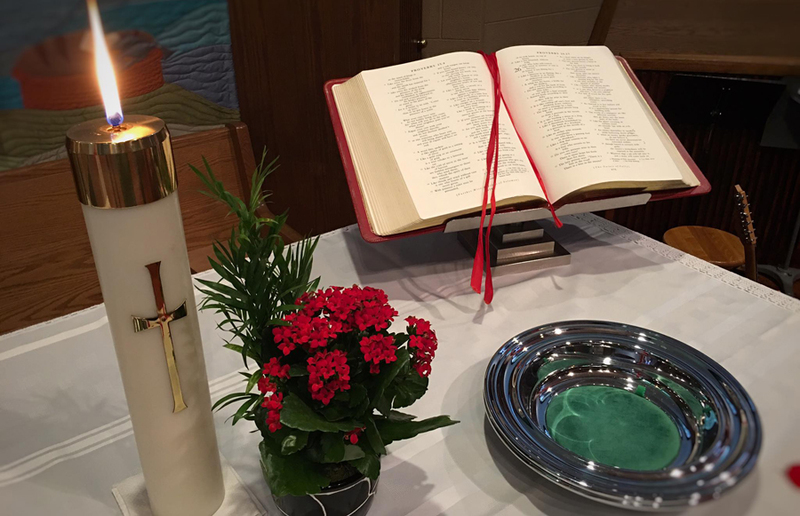 Normally, those who wish to enter into membership in this congregation do so through, baptism, confirmation, profession or reaffirmation of faith, or by transfer from another Christian church or another United Church congregation. If you would like to know more about how you may formally join our membership, please contact one of our ministers.